Welcome to A Sampling Bee! 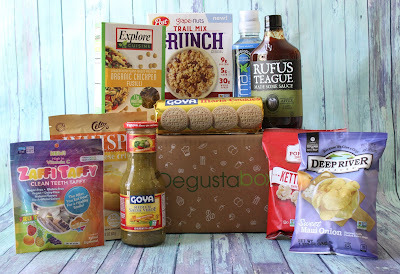 Today, I am sharing my review for May's Degusta Box USA! 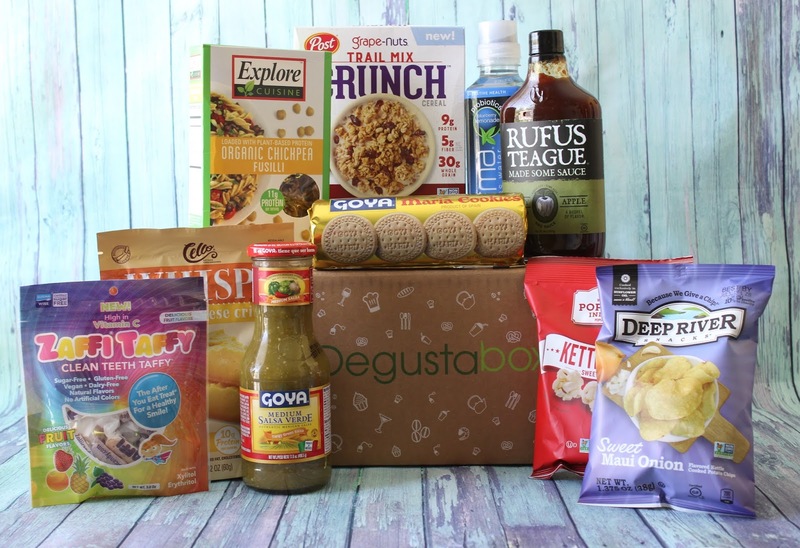 Degusta Box USA is a snack box that is delivered monthly. Each box contains 9-14 full-sized items. Every month's box is a complete surprise. You do not know what's inside until it arrives at your door step! Degusta Box USA costs only $19.99 a month! So, if you love snacks, drinks and meal prep items, subscribe to Degusta Box! This month had a lot of items that can be enjoyed at a picnic. I have tried most of the products, but its okay, I am not complaining. I loved them in previous boxes and I still love them now! The Rufus Teague BBQ sauce is amazing and goes so well with chicken, pork chops and shrimp kebobs. It's sweet, smoky and just delicious! One of my favorite products this month. The Cello Whisps I absolutely love! They are so good on top of salads or just as a snack! The cheese that Cello uses is so good!Popcorn Indiana's Kettlecorn has been one of my favorite popcorns for a while. The popcorn is not overly sweet. It's perfect! Crunchy, sweet with a hint of salt! Karma's Wellness Water is my favorite probiotic water. This flavor is so good, it's my favorite. Drinking healthy is so easy with Karma's yummy waters. One product that I have not tried this month is the Post Grape-nut Granola. OMG, it is amazing! Crunchy, sweet, salty and full of cranberries! The Zaffi Taffy is really good! My kids love taffy so they were so excited to try a piece. Little do they know that this taffy is actually good for their teeth! 10+ I give May's box! so many good products this month. SUBSCRIBE now and save $10 off of your first month's box! Click HERE! !